Dino started his career as a network engineer within the telecommunications industry, and was quickly promoted to product management and marketing. With over a decade of marketing and management experience, Dino brings a wealth of knowledge and expertise from a business perspective. After trotting around the world (India, Japan, Africa, Taiwan, Dubai, US, and Singapore) for school, university, and work, Dino has cultivated great wisdom and experiences through interactions with such diverse cultures. 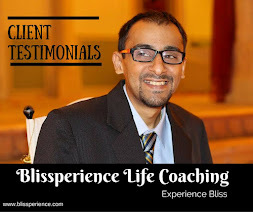 His passion for personal development started in the year 2000, when he realized that even though he was blessed with everything that life had to offer, he sensed a feeling of emptiness. This kicked-off his journey exploring the spiritual aspects of life and the way to find true happiness. He began reading spiritual texts, studying positive psychology, practicing healing (Reiki/Pranic) and meditation techniques, and experimented with tools to transform his mind and empower him to become the exceptional person he aspired to become. Dino’s greatest challenge was encountered in 2009 when suddenly he lost partial vision and was forced to face the uncertainties in life and dig deep down within himself to find the purpose of his soul as well as a reason to continue living even though living a 100% vision-based normal life was unlikely. A tremendous amount of personal development during those years completely transformed him, and today, through life coaching Dino guides others to face their fears, uncertainties, and achieve their goals. After realizing that empowering others gives him true joy, he chose to further his personal development by pursuing a Master’s degree in Leading Innovation and Change. In addition he also started sharing his wisdom through his blog, as well as articles that are published in theBharat Ratna International magazine. Dino feels tremendous joy and empowerment by guiding and inspiring others through his blog and life coaching sessions. Now, he invites you to share your challenges with him as he assists you in becoming the person who you truly aspire to be.